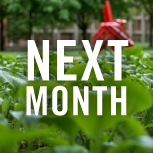 January 2014 events include a concert by the King's Singers and the Martin Luther King Jr. Study Day events. Eva Lapp and Brynn Godshall have a lot in common: they both sing in the Women’s World Music Choir at Goshen College, love ice cream and share a passion for peace studies. 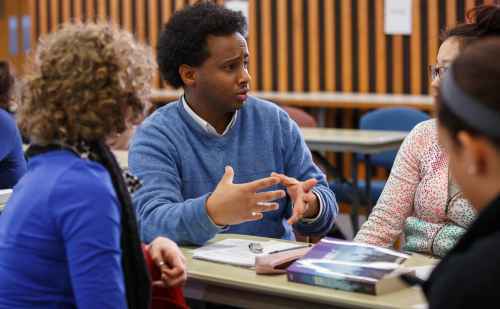 But Lapp, a junior from Goshen, and Godshall, a freshman from Lancaster, Pa., might never have become friends if not for a new student-led initiative called Campus Connections. 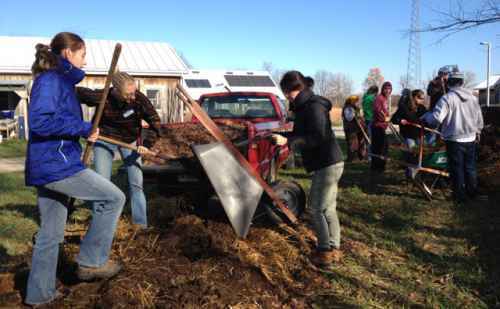 During a chilly November weekend, 45 student leaders from eight colleges and universities gathered for a sustainability summit at Goshen College’s Merry Lea Environmental Learning Center. The goal of the sustainability summit was to bring students from area institutions together to learn, network and brainstorm ways to make their home campuses more sustainable. This year's focus was on food. 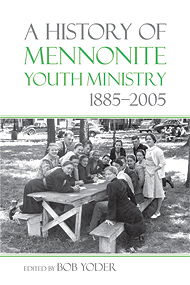 A book chronicling the past 120 years of youth ministry in the Mennonite church hit the shelves this month. Bob Yoder, assistant professor of youth ministry and campus pastor at Goshen College, served as editor of the book, which is titled “A History of Mennonite Youth Ministry 1885-2005” (Institute for Mennonite Studies, December 2013. $26.45 US). Alma Rosa Carrillo Flores shares her journey from her childhood in Mexico to a new start at Goshen College. The Goshen College 2013 Electronics & Robotics Show took place last week in the Recreation-Fitness Center. The event was a showcase for projects created by students in the 300-levelt electronics/robotics course taught by John Ross Buschert, professor of physics and department chair. 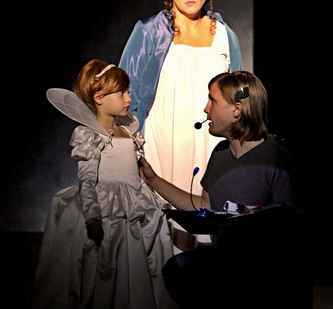 Andrew Landis has been traveling since he graduated from Goshen College in 2009 to work with opera companies across the country, and for the first time, he will see one of the productions he worked with air nationally on television. Three of the top 10 accounting firms in the country recruit students directly from Goshen College, as do regional and local firms. 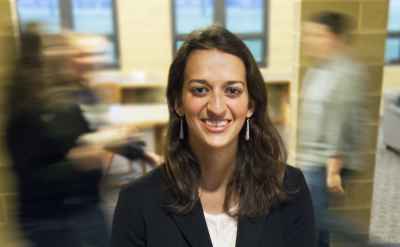 It helps that the college has one of the only regional accounting programs with a required, paid internship, which usually leads to a job offer.